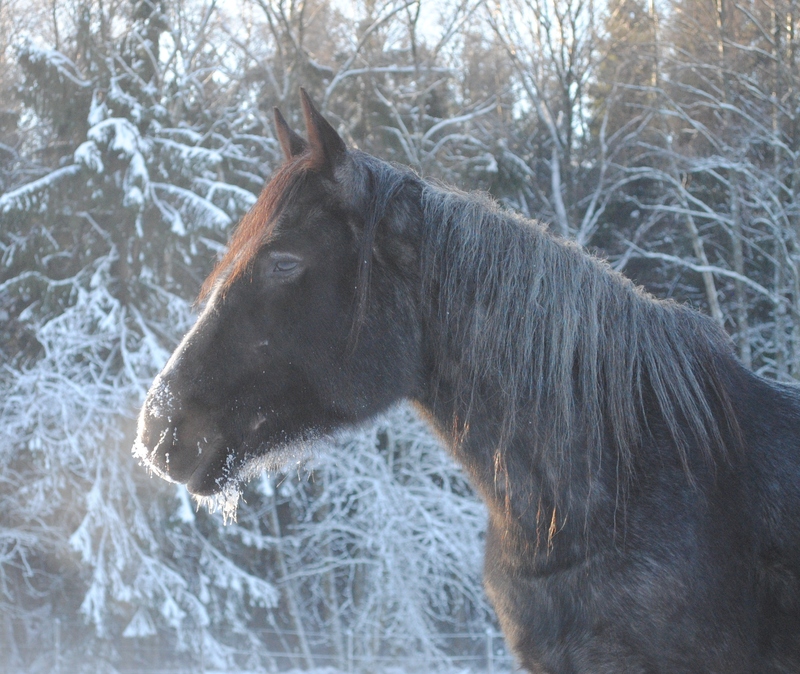 This entry was posted in Poetry and tagged horse, photography, poem, writing201. Bookmark the permalink. This was a nice haiku. Your choice of imagery really have the feel of cementing that, presence, that memory. Nice peace. Gorgeous pic and lovely words. There is water in the breath. Do you have moose or other native wildlife near you too ? Yes sure, we have lots of moose, roedeer, fox, badger, raven, sea eagle and you name it! Beautiful imagery accompanied by a beautiful picture. Thanks, the photos of our horses is the inspiration. That’s beautiful! Frosty whiskers bring back memories. Thanks, good memories I suppose! Love this image. You can feel his soul and the crispness of the morning in this shot. Beautiful. Thanks for your great observations, I’m greatful.